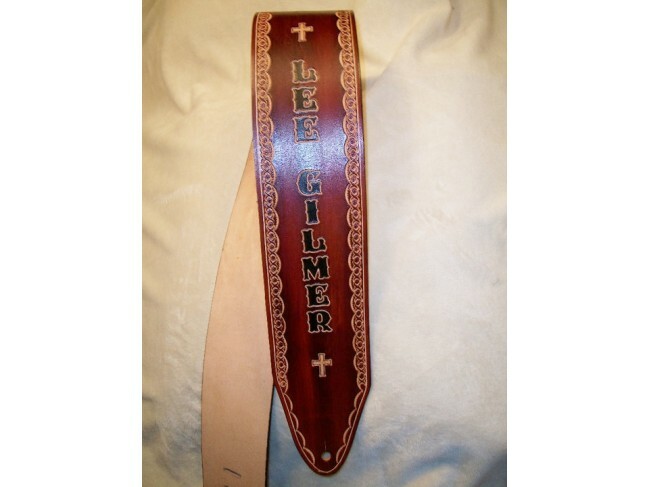 This American made leather 3" custom guitar strap is absolutely beautiful. It is bordered with a scallop, filled with a flower design, and Crosses above and below the name. Shown in dark brown. You choose the name and the color of your strap.